HUMANITIES PROFESSOR WRITES ABOUT REAL LIFE AND DRAMA. In 2005, after twenty five years of teaching humanities classes and directing plays and musicals, John Probst retired, and focused on a new creative outlet--- writing novels. His first novel, Johnny Mac written in 2003 dealt with the traumatic childhood of a good friend. It is based on true events in the life of his friend of forty years, as told to him when they were in their twenties. The story begins when Johnny’s alcoholic mother drops him and his brother at a Catholic orphanage shortly after their father abandons the family. The plot continues as traumatic events occur through Johnny’s childhood and teen years. This writing triggered the next novel A Coming to Terms which dealt with how the author’s grandparents dealt with raising nine children on a Michigan state farm during the turn of the twentieth century. Although some stores are exaggerated, they evolve from real life incidents; incidents he had heard from tales told to him by his father and Aunts and Uncles. Born in South Bend Indiana, John began taking piano lessons when he was five years old. “My father was a dentist, and one of his patients paid his bill by giving my dad an upright piano. I would pick out melodies I heard, and so through out my formative years, took piano lessons. From then, music was my primary interest. After having entered the University of Notre Dame I earned both a Bachelor and Master’s degree in Music. 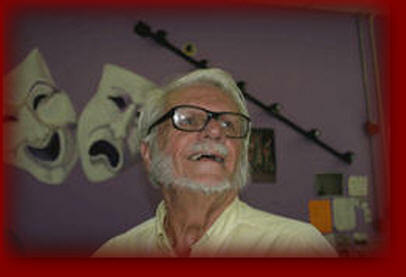 My musical mentor and keyboard instructor for twelve years was Prof. Daniel H.Pedtke, F.A.G.O. Upon graduation, Probst headed for San Francisco Ca. In the early 1980’s a Feather River College administrator saw a musical he had directed and wanted to know if he would like to direct musicals and teach drama and music classes at their campus in Quincy CA. “Where the Hell is Quincy” John asked. Thus began a teaching assignment that would last for twenty five years. During those years, John developed the College Music and Drama department, and also taught classes in English Philosophy, Choral and Speech. During each summer, he auditioned, cast, and directed the multi-talents of Plumas County musicians, dancers, singers and thespians in major Broadway musicals from 1975 to 1994. In May of 2007, John retired and was bestowed the honorarium Professor Emeritus by the College faculty. Years later during his retirement, John would pen another novel based on just how he came to teach at the college, and why he stayed. The book, “The Trials and Tribulations of A Community College Drama Director, or Where The Hell Is Quincy” is a comical review of his many wild and unexpected experiences while raising his family in Quincy, and teaching at Feather River College. In addition to his novels, John has written a two act play called Environmental Alternatives, based on the experiences he and his late wife, Dorothy had while running a foster home for girls. John also penned, nine compositions on a Kurtzweil computer piano for a Cd entitled, Me, Myself, My Synthesizer and has produced and performed classical piano works on two other Cd’s. From 2010-2015, John began a madrigal singing group, made up of residents of Plumas County called, Le Panache. For years they have sung through out the county and presented a Christmas and spring concert at the Plumas County Court House. They can be seen in concert on his Recording section of his web page Worldofjohnkprobst.com Musical examples of the piano works and chorale concerts can also be heard on the Recordings page of the web sight. Click on the dancers to send me mail.